Sometimes we get education by reading and sharing a dialogue. These articles are for you to download, and distribute inside your company. Facilitate a conversation and see what happens. Let me know! The exciting thing about the journey of enlightenment is that there’s always more work to be done. This article is from a personal experience where I got a glimpse in the mirror to see weak areas and need for improvement in my language and communication skills. Enlightened leaders strive to exhibit a high level of conscious communication. Unconscious communication (old habits and reactive responses) contribute to workplace distraction and negatively impacts your ability to influence. In this article, see if you recognize any of your unconscious patterns and challenge yourself to change them. If you lead others you’ll eventually come up against some type of resistance. Resistance shows up in four little words, or five, or six, followed by a game of “Ping Pong.” Read this article to learn how to listen for signs of resistance, and how to avoid getting stuck yourself by using the fulcrum point of change to facilitate movement. Instead of thinking about enlightenment as a state of perfection where you never get angry, never make a mistake, or never have room to grow, what if enlightenment is about the ability to course-correct with lightening speed? This article is about how course-correction can become a competitive advantage. 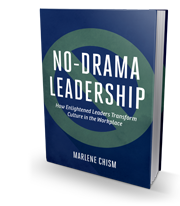 One of the biggest challenges of leadership is making a decision that others don’t agree with. When you get push back from a star employee, a key sponsor, or even someone you really like, it’s easy to get distracted by people pleasing. This article is about making difficult decisions and letting go of the need to always be understood. Knowing you are right feels good, yet there are many drawbacks including relationship problems, closed mindedness, and eventually resentment. If you know someone who is just plain hard to get along with, see if you can see the pattern of needing to be right. This article explains letting go of the need to be right gives you the freedom to be excellent. Learning from and modeling those who have achieved more is one of the best ways to advance. However there are some dangers and potential drama if you enter into this type of learning without first knowing yourself and your values. This article emphasizes why understanding your own values and desires is important and why choosing someone to learn from without using discernment can be dangerous. Most of what drains our energy and negatively impacts our personal effectiveness comes from taking on problems that do not belong to us. 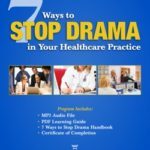 This article will help you to get off of The Drama Triangle and regain your personal effectiveness. Distinctions come a flash of insight, from deep reflection or critical thinking. 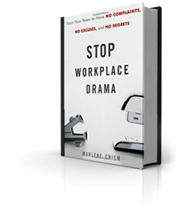 In a previous article on the Stop Workplace Drama blog I said that blame doesn’t change the situation. One of my subscribers said, “Yes it does,” and he showed me how by giving me examples. Read this article to see his wisdom, insights and distinctions.